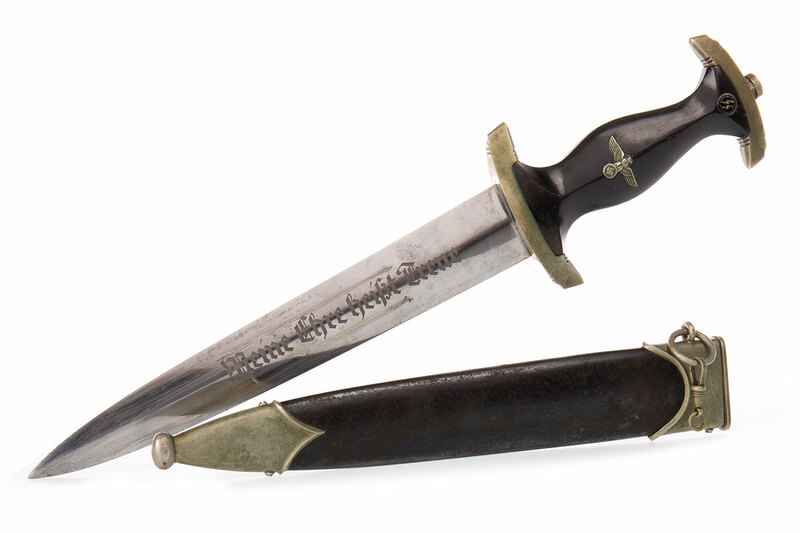 A WWII SS dagger by Robert Klaas was one of the highlights of The Works of Art, Medals, Militaria & Furniture Auction at McTear’s on Friday, selling for several times the top estimate to achieve a hammer price of £1,600. There was a huge amount of interest in the dagger in the weeks before the auction, from collectors in Britain and overseas. In the end – after much competition online and in the room – the dagger sold to a bidder online, based in England. Fine collections of medals, cap badges and military caps were popular features of the sale this morning. 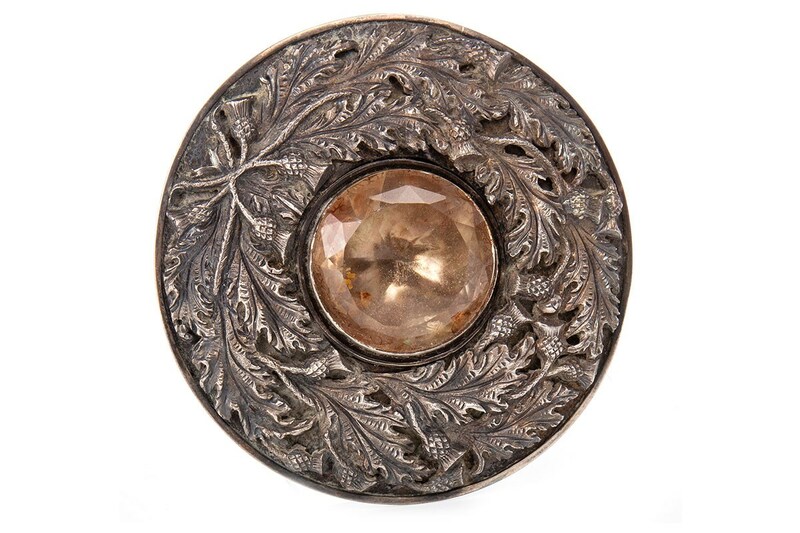 One lot which performed especially well was lot 905, a large Scottish brooch decorated with thistle and foliage decoration. This sold for a hammer price of £400. An impressive 19th century German Prussian heavy cavalry steel Pickelhaube was another piece which caught the eye of military collectors. 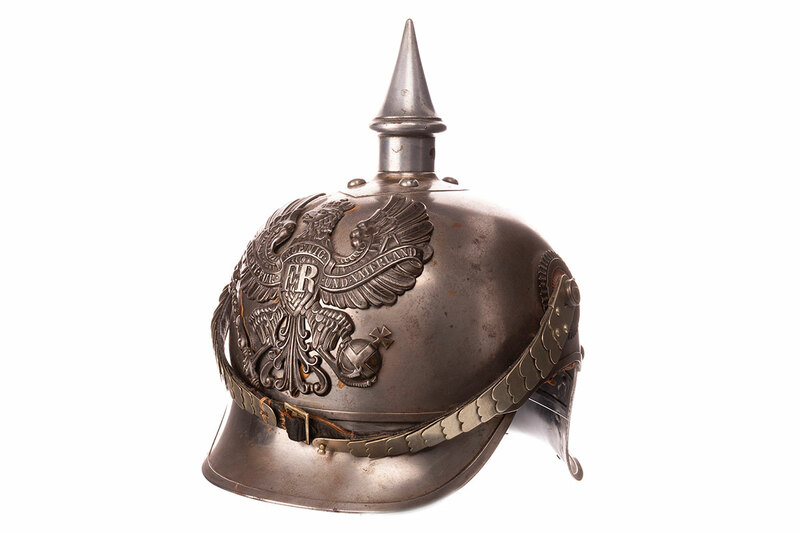 This Pickelhaube achieved a cool hammer price of £650.